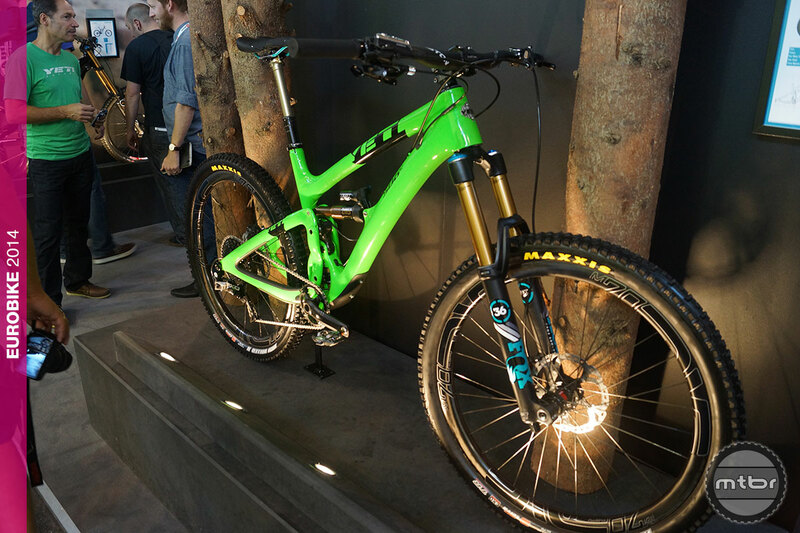 The often seen, but little spoken about Yeti SB6c carbon enduro bike went official at Eurobike this week as the Colorado company released full details to dealers, distributors and members of the press at the show. The 27.5-inch-wheeled, 157mm-travel SB6c features Yeti’s updated Switch Infinity suspension system they debuted a few weeks ago on their shorter-travel SB5c, as well as the de rigueur long, low and slack geometry. 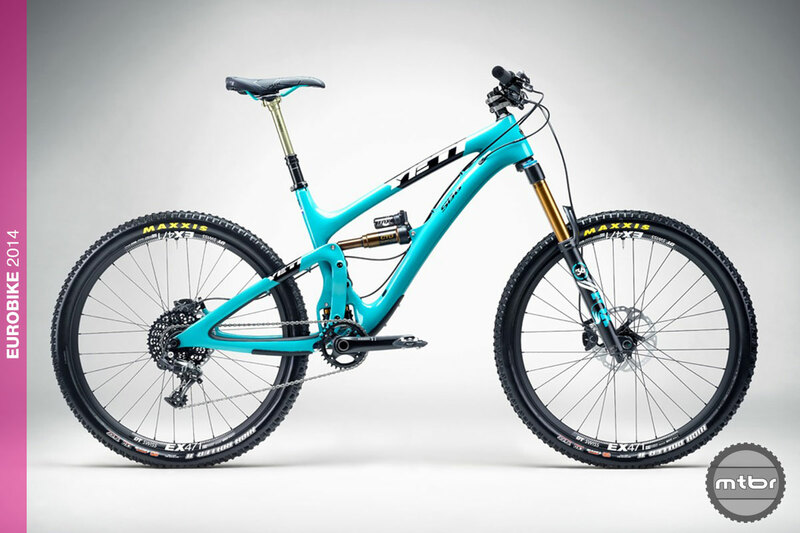 With a 65.5 degree head angle, low bottom bracket, and long-ish top-tube numbers across the size range, the Yeti is built to take the fight to steep, fast courses, and, not surprisingly, was built using in-depth input from Yeti team rider Jared Graves, who’s already piloted the SB6c to wins in two rounds of the Enduro World Series. The all-new SB6c uses Yeti’s Switch Infinity link to manage 160mm of rear travel. 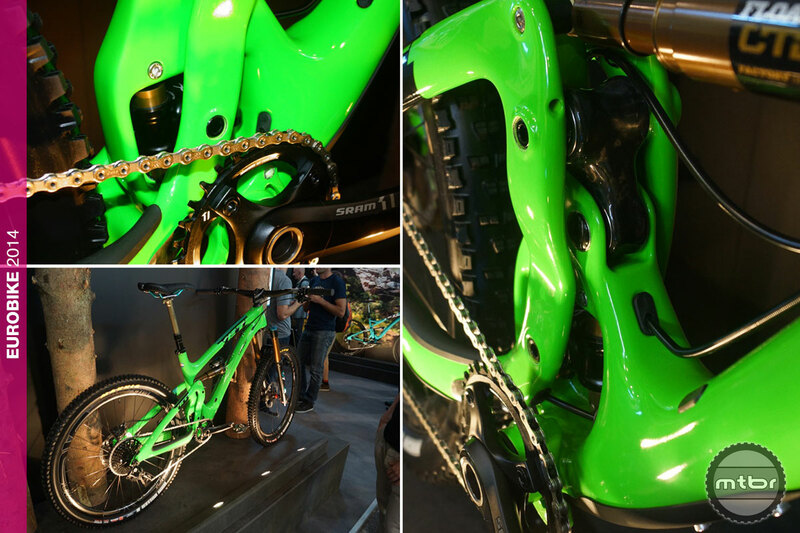 The mechanism uses a pair of sliding pistons made by FOX and covered with their ultra-slippery Kashima coating..
Like the SB5c and newly announced AS-Rc, initially the SB6c will only be sold as complete bikes. With a SRAM XO1 build kit the bike is said to tip the scales at about 29 pounds and cost $7400. For more information visit yeticycles.com. “A 29 lb build is said to tip the scales at 29lbs”… you don’t say? Ahhh yes Steve, thanks for the catch. We’re jet laggin’ over here doncha’ know! Beauty. I would look serious into this ride as I’m looking for a new hi end 27.5…but 29 lbs for $7k+??? That infinity thingy majigy must be heavy!